What do you think caused me to develop COPD? Although smoking is the main risk factor, COPD can occur—even in people who have never smoked—due to air pollution, second-hand smoke or other pollutants, genetic factors, and for other reasons. 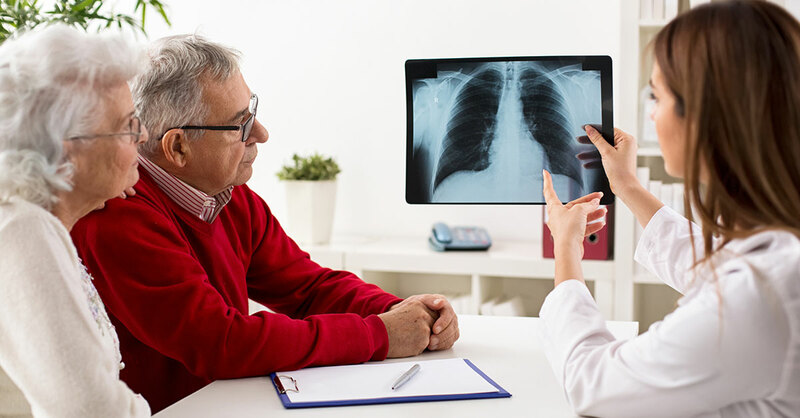 Ask your doctor to identify risk factors from your medical history that have contributed to your COPD and how they might affect your treatment and prognosis. What treatments do you think will work best for me and why? It’s likely you will need to use one or more inhaled medications, including a long-acting bronchodilator, a short-acting “rescue” medication and sometimes an inhaled steroid. Will I need to take oxygen now or perhaps later—and how will you decide? Not everyone with COPD has a problem getting enough oxygen into the lungs and bloodstream. Ask your doctor about your possible need for oxygen. Will I need to use oxygen when I’m on a plane? Your doctor should test you before air travel to see whether you will need supplemental oxygen when flying. Airlines typically require at least 48 hours before flights to make arrangements. Are you referring me for pulmonary rehabilitation? Pulmonary rehab—where you’ll learn about the best exercises for you…breathing techniques…and other ways of staying in shape—is typically recommended for newly diagnosed COPD patients. If not, ask for it. What can I do to protect my lungs against infection? Respiratory infections are a risk for people with COPD. Ask your doctor about vaccinations for flu and pneumonia and for other ways to avoid infections that may apply to you. Beyond medication, can you also recommend natural and alternative treatments? While evidence has been mixed, acupuncture, certain supplements and certain botanicals may help with COPD. If your MD is not familiar with these treatments, consider also seeing a naturopathic physician (ND or NMD). Given my specific situation, are there any lifestyle changes that I should make? A variety of external factors, including weather, indoor environment, activity level, etc. can affect COPD. Ask your doctor about external factors that may affect your condition. Can you suggest local support groups that might help with my COPD? Joining a support group such as Better Breather Clubs, sponsored by the American Lung Association (Lung.org) may help. Also ask your doctor about local support groups that he/she believes would be helpful.